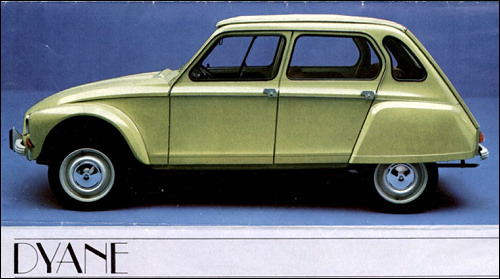 Two new 2 CV models launched: 2 CV 4 with cubic capacity 435 cc and power output 26 bhp, and CV 6 with 602 cc and power output 33 bhp. 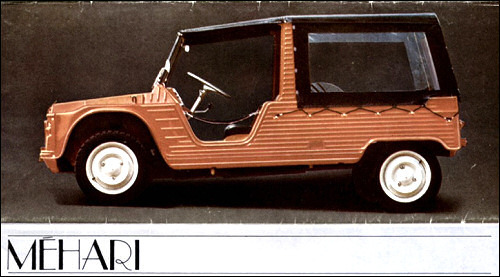 2 CV 4 replaces AZ and AZA (except for Holland and Germany). Round indicators fitted in front wings; Revised tail light clusters incorporating indicators and stop lamps, Front seat belts fitted as standard. AK 350 replaced by AKS 400 with a raised roofline and an extra 50 kg payload. 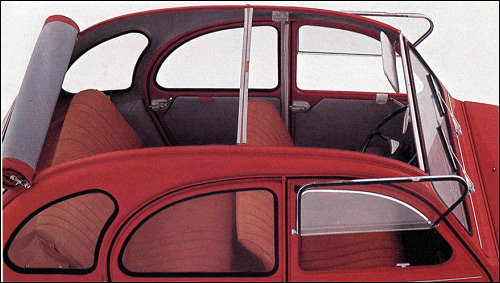 The Dyane acquired side windows in the rear panels. 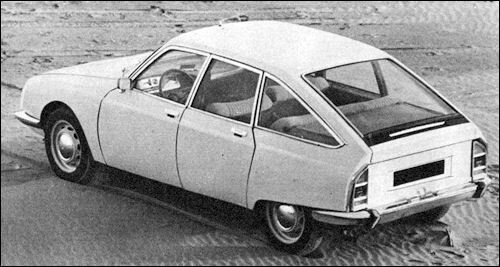 The Dyane 6 power was increased up to 35 bhp. The Méhari acquired a new grille and new lights. 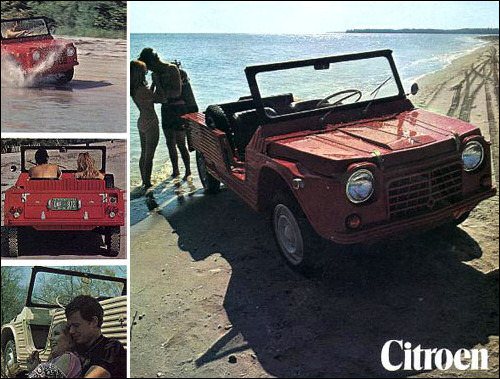 A two seater version was launched, classified in France as a commercial vehicle. 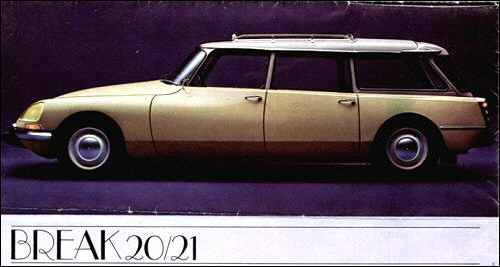 A five speed manual gearbox is offered for the DS. 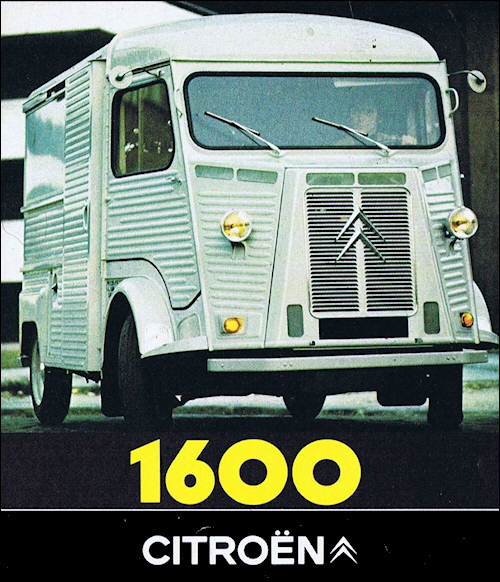 First shown at the Geneva Motor Show in March Citroën SM is a result of the colaboration with the Italian Maserati. 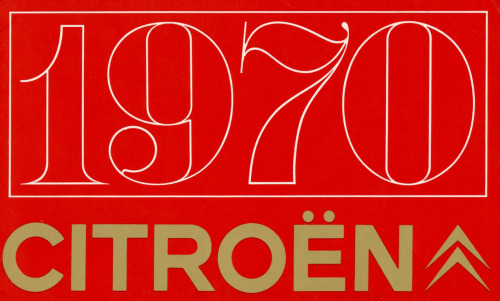 Ctroen purchased Maserati in 1968 with the intention of using high-performance engine technology to produce a true Gran Turismo car, combining the sophisticated DS suspension with a Maserati V6. It went on sale in France in September. 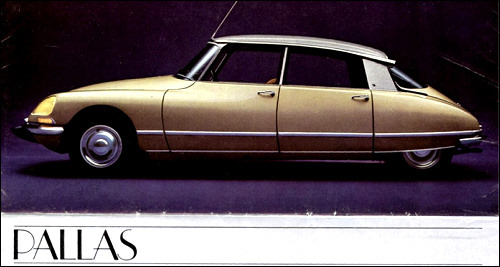 On 24 August 1970, Citroën launched the GS, filling the gap between the small and cheap models and the luxurious DS. 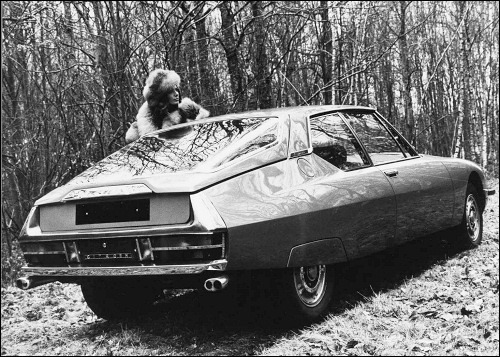 it provide the proven hydropneumatic suspension and powered disc brakes of the DS. The engine is in keeping with the 2 CV tradition being an air cooled boxer but it has four rather than two cylinders and overhead camshafts. The capacity is 1015cc giving 55.5 bhp. 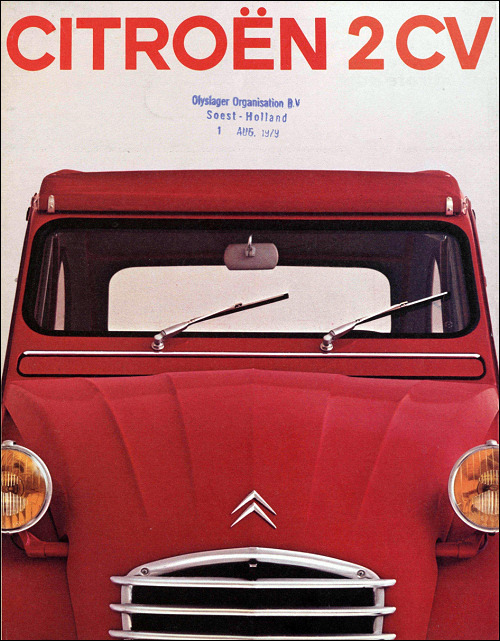 The interior is as futuristic as one would expect from Citroën and the dash feature a "cyclops eye" speedo and boomerang shaped tacho plus a multiplicity of warning lamps. 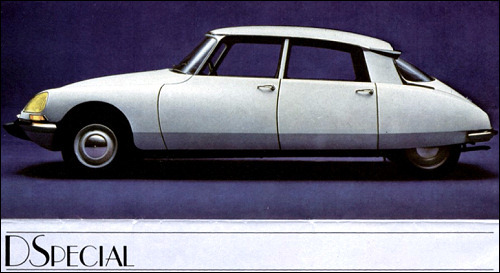 (Right hand drive models had conventional round instruments). The gearchange is floor mounted but the parking brake is a horizontal bar mounted in the middle of the dashboard. Two trim levels are initially available - Confort and Luxe. 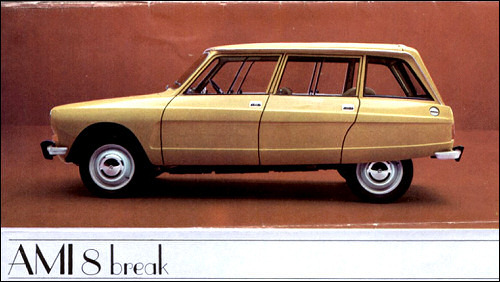 Brand-new from the famous French factories, now part of the Fiat empire, is the GS four-door, five-seater saloon. 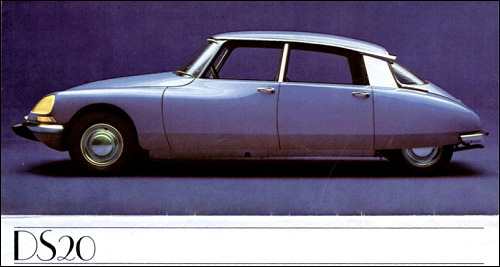 Shown publicly for the first time at the Paris Salon de l'Automobile earlier this month, the car has a long aerodynamic shape, Citroen's traditional front wheel drive and an exciting air-cooled horizontally-opposed four-cylinder engine with overhead camshafts to both cylinder banks. The combustion chambers are hemispherical for maximum efficiency, and although the engine is of 1015 c.c. only, its top speed is better than 90 m.p.h. Available next year in the U.K. Estimated price between E4,500 and E5,000 (incl. P.T.) 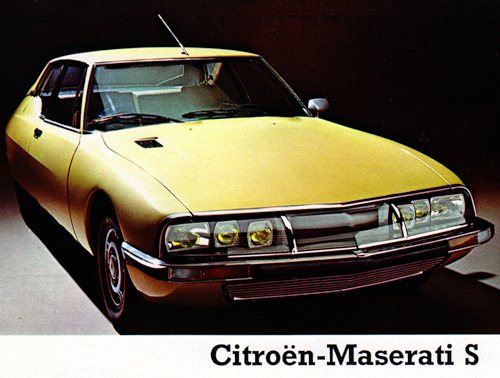 First tangible evidence of the Citroen-Maserati alliance, the advanced SM stole the Geneva Motor Show last March. 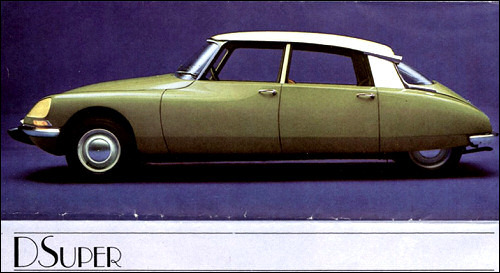 The highly aerodynamic two-door coachwork bears a family likeness to the DS models, but it is a much faster, more expensive car. Power-unit is a 60-degree V6 with four overhead camshafts, designed and developed by the Italian Maserati factory, and although it is relatively small at 2675 c.c., the SM can reach nearly 140 m.p.h. It has front wheel drive and self-levelling suspension. 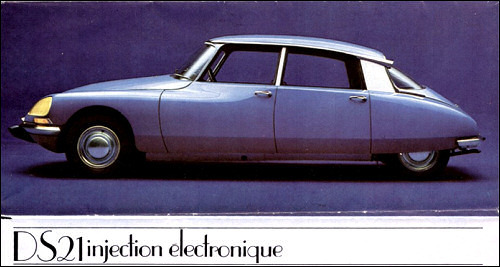 The nose incorporates six iodine-quartz headlights. The D series has been with us for over 15 years, yet their profile and specifications are still up-to-the-minute. 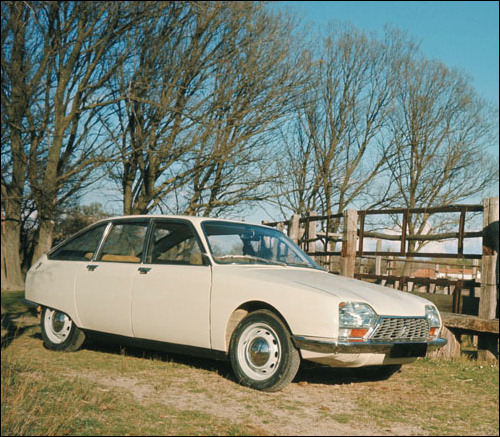 The highly streamlined four-door saloon bodywork is shared by several models, from the two-litre manual D19 to the 2.2-litre DS21. The latter engine with Weber carburettor develops 115 (gross) h.p., but with the optional fuel injection, power is boosted to 139 h.p. D models have manual gearboxes, but two-pedal semi-automatic transmission is available at extra cost. 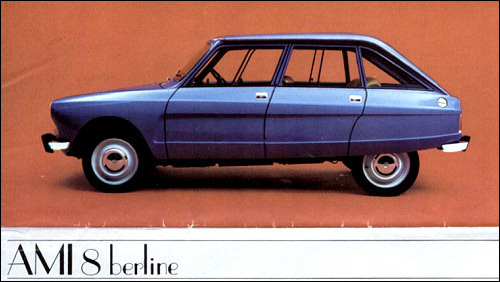 The hydropneumatic suspension is self-levelling, and all models have front wheel drive. wb: 2518 mm 4 cyl.